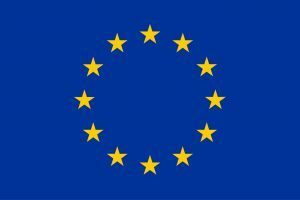 A guest blog from Emma Sackville, who recently completed her PhD in Sustainable Chemistry at the Centre for Sustainable Chemical Technologies, University of Bath. One of the first things you think about when you start doing public engagement is ‘Who is my audience?’. This is always a useful start point because it helps you shape the event or activity you do. 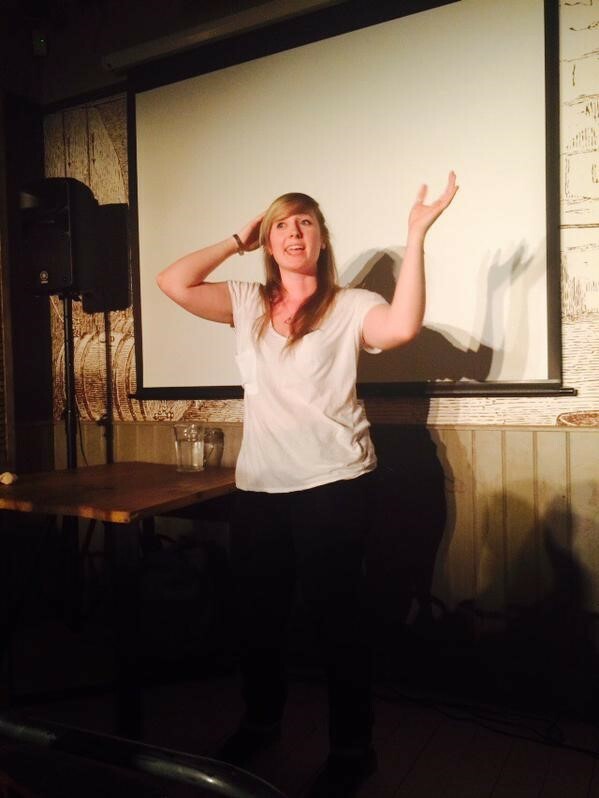 For example, a science activity for toddlers will be completely different to a stand-up science comedy event in a pub! Something I didn’t initially think about is that even people at academic conferences can be a public. If you are presenting your research, you will know it better than anyone else. Being able to set the scene for your talk and get everyone to the same starting point makes your presentation more enjoyable. 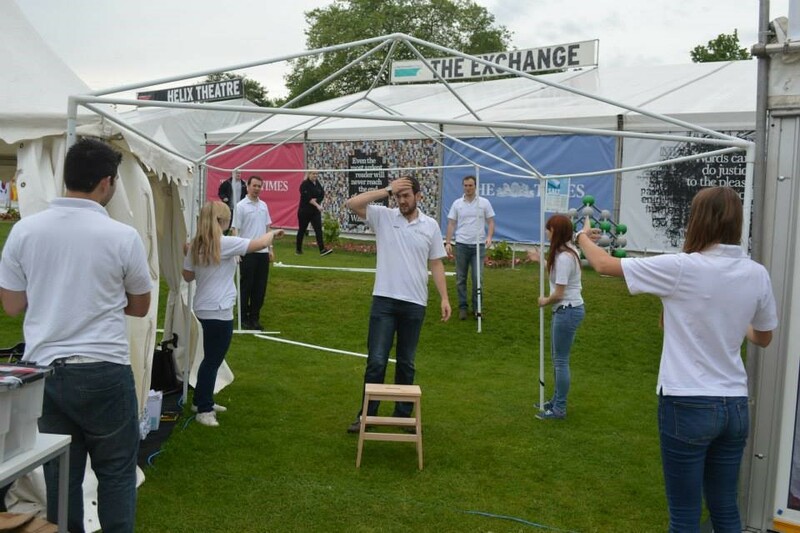 The first time we did a full public engagement activity was at Cheltenham Science Festival. It is such a great atmosphere and it makes for a really enjoyable and easy way to do some public engagement. Everyone is there because they love science, and want to come and learn more about it, which is great! 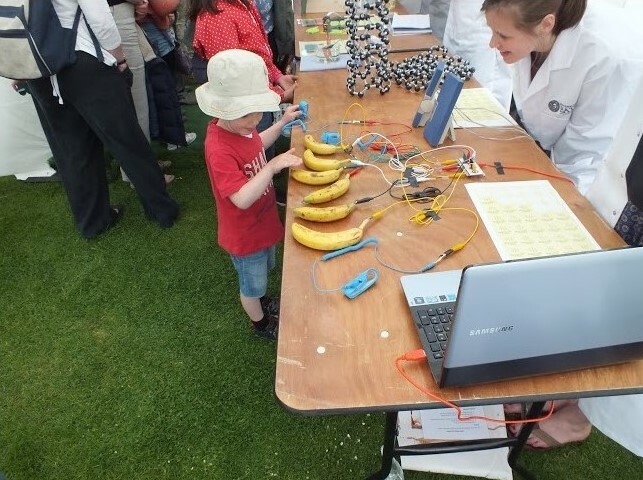 The only problem is that at a science festival, your audience is already really interested in science. Exploring alternative, less obvious events can be daunting, but potentially wider reaching and have more impact. One of the great things I found about explaining my research, is that it helps put your work into context. It’s easy to get bogged down in the details of your specific experiment, but talking about your work to non-scientists forces you to think about the wider context of why you are working on this particular project. Talking about your PhD can also make you remember why you’re bothering to work through the difficult and stressful research. Everyone struggles at some point in their PhD, often in the middle part. Nothing really works, the things you thought you were going to do have changed, your supervisor has probably forgotten you – it’s tough! For me public engagement let me take a step back and gain some perspective, and gave me a bit of a break and a welcome distraction. 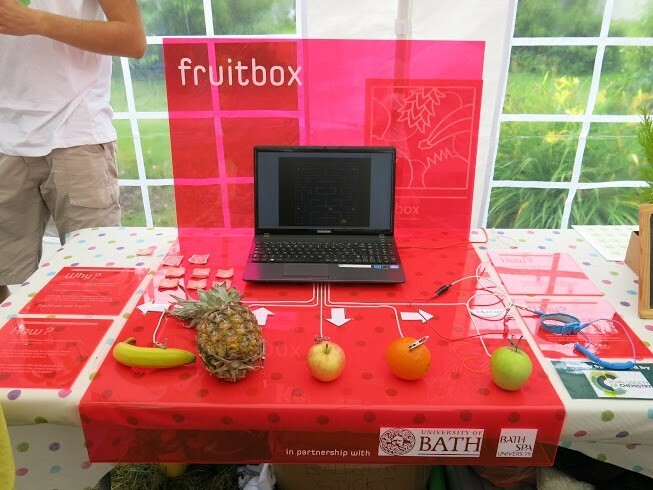 When we designed our activities for Cheltenham Science festival, we made some information posters and had a stall design. We thought we’d done a really good job! However, we later did some work with some students studying Graphic Design. The ideas they had were so creative and different that we would never have come up with them. The first posters we designed were fine, for an academic conference, but not right for a science festival. I quickly realised that although I have a lot of skills in science and presenting orally, my artistic and visual arts skills are lacking! Outsourcing your design might be a valuable thing to do. 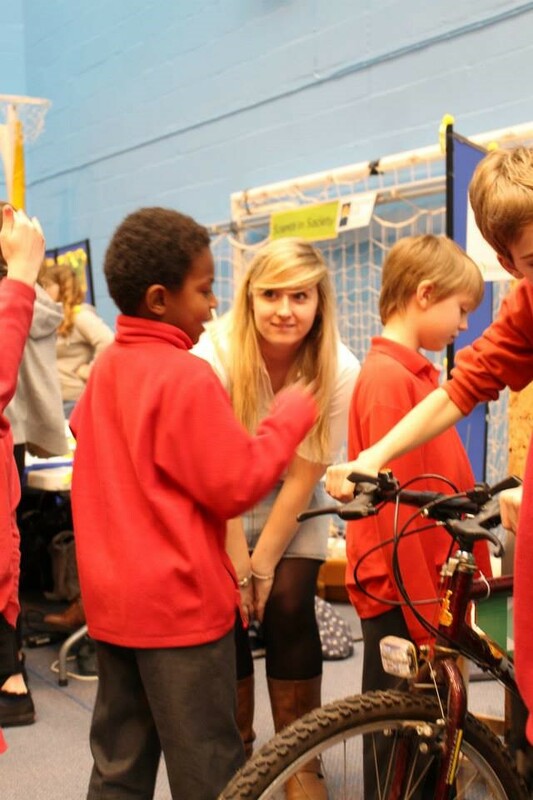 As well as the obvious skills like communicating and presenting, public engagement also taught me about logistics, team work, design, budgeting, time management, reflective practise, and a whole range of other transferable skills. I even ended up writing a grant proposal for a public engagement activity. Near the end of my PhD, Graphic Science took me to a public engagement conference. One of the things that really struck me was that it was really engaging, especially compared to other academic conferences. This might sound a bit obvious! But all the events on the programme had some level of participation in. Normally at academic conferences you listen to lots of talks from speakers, which have a short question session (with a few ‘actually mine’s more of a comment than a question…’ thrown in). At the engagement conference, everything was so much more interactive. For example, the panel sessions involved talking in small groups, in the plenary talks all the questions were submitted over Twitter and in the poster session I got a temporary science tattoo! For me I found that this was just a perfect example of the main idea behind public engagement – that it should be a two-way dialogue between researchers and the public, rather than a one-way delivering of information to people whether they want it or not! My main take home point from all the public engagement I did during my PhD, was that I had a great time doing it. I was able to do a range of amazing activities (including a music festival and some science radio) and I learnt a lot during it, but overall it’s just been a really fun thing to do!